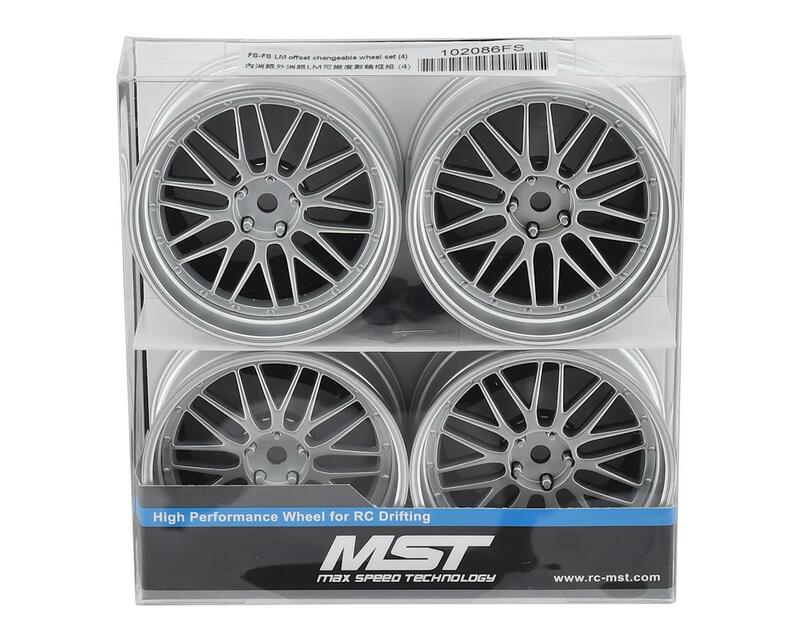 MST LM Offset Changeable Wheel Set. 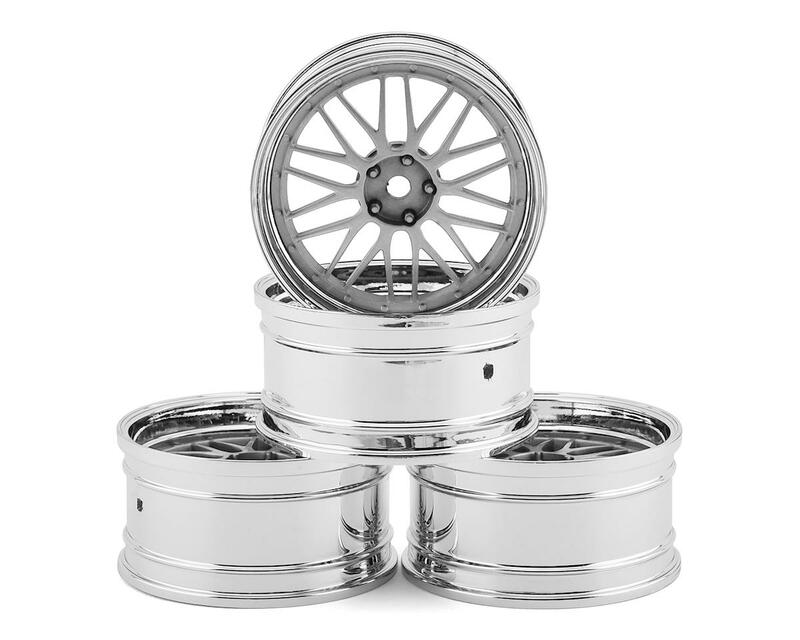 These wheels feature an aggressive Y-spoke pattern and molded in bolt details. 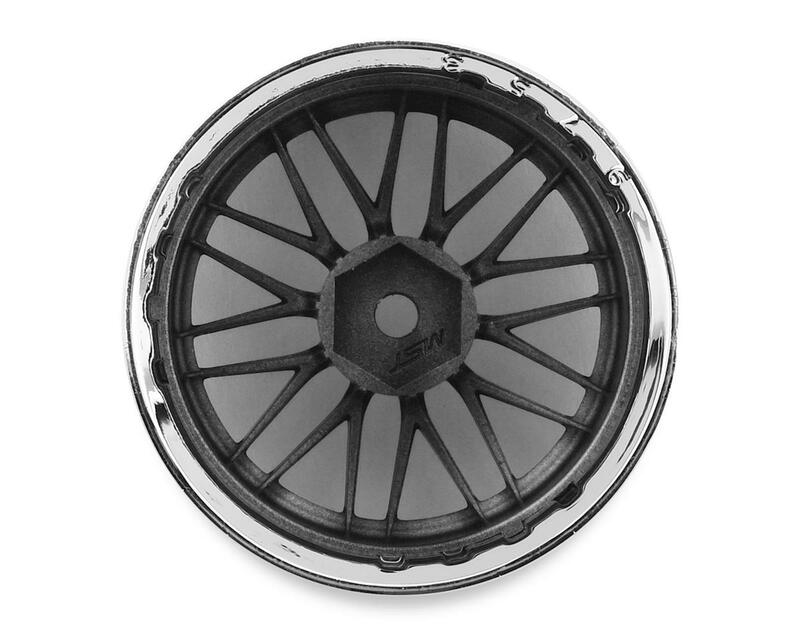 The design allows you to setup the wheel with a +3, +5, +7 or +9 offset to fit a variety of bodies, and setup the stance to create the look you want on your ride. Simply clock the wheel face inside the rim and glue in place. 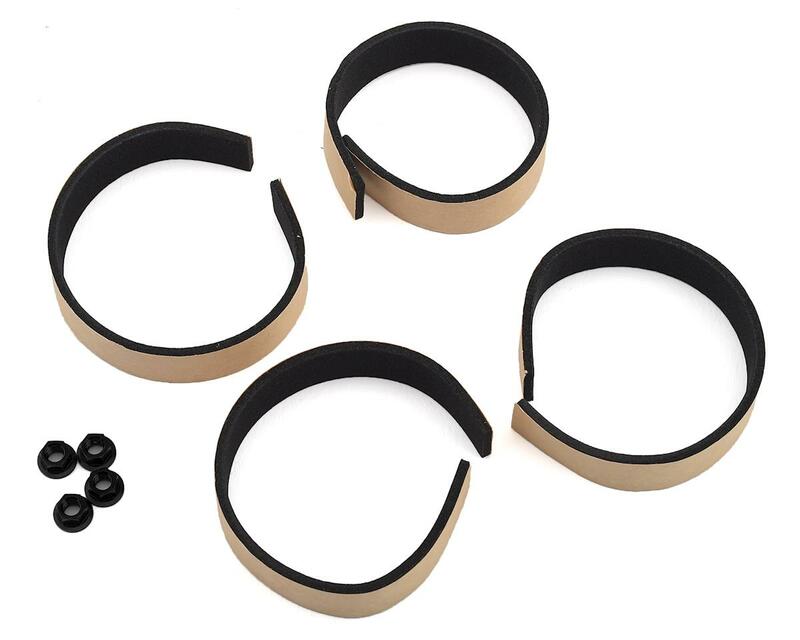 Package includes four wheels, four serrated wheel nuts and four adhesive foam strips.